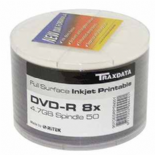 Bulk purchase for 600 pieces Traxdata Full Face White Inkjet Printable DVD-R 8x. Most popular oem Printable DVD in the market. Bulk purchase for 600 pieces OEM Ritek Full Face White Inkjet Printable DVD-R 16x. Bulk purchase for 600 pieces Arita Full Face White Inkjet Printable DVD-R 8x. 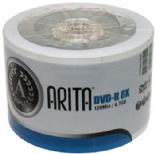 Bulk purchase for 600 pieces Arita Green DVD-R 8x 4.7 GB. 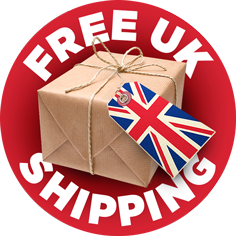 Bulk purchase for 600 pieces Fortis Printable White DVD-R 16x. 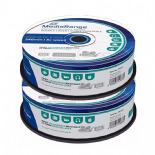 MediaRange DVD+R 8.5GB double layer storage media are perfect for archiving your data quickly and efficiently. The excellent recording stability allows your data to be saved in just a few minutes with write speeds of up to 8x.